This is our personal favorite. 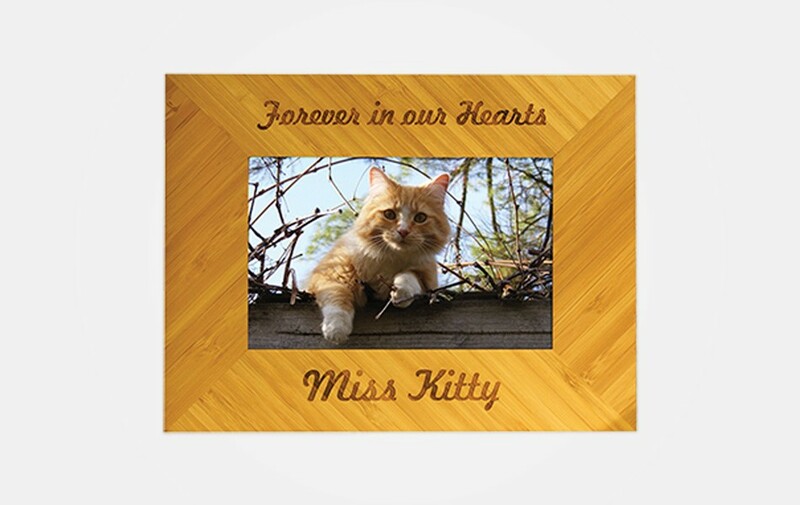 Crafted from sustainable bamboo, this frame comes in sizes for either a 4 inch by 6 inch photo or a 5 inch by 7 inch. It’s elegant and casual at the same time. For an additional $10 we can engrave you pet’s paw print on both sides of their name, making it a truly unique memento.